Can you give me some evidence that all those Nazis who confessed were tortured in order to confess in multiple trials decades apart, some of them in Germany even ? Why did the Nazis who testified as witnesses and were not accused of crimes lie ? How come that not a single Nazi ( some of them died only a few years ago ) didnt talk about this torture or retracted anything they admitted ? Welcome to the best 'holocaust' storyline discussion site. The use of torture was widespread and openly acknowledged by the torturers. Use our search function for torture confessions and see tons of information. It's all here, just look for it.
" The Nuremberg Trials are so repugnant to the Anglo-Saxon principles of justice that we must forever be ashamed of that page in our history." All but two of the Germans, in the 139 cases we investigated, had been kicked in the testicles beyond repair. This was Standard Operating Procedure with American investigators. - Judge E. L. van Roden, "American Atrocities in Germany", The Progressive. February 1949, p. 21f. Judge van Roden's allegation of torture to gain "confessions" is confirmed by Texas Supreme Court Judge, Gordon Simpson. He confirmed that savage beatings, smashing of testicles, and months of solitary confinement occurred. "Statements admitted as evidence were obtained from men who had first been kept in solitary confinement for three, four and five months..The investigators would put a black hood over the accused's head, punch him in the face with brass knuckles, kick him and beat him with rubber hoses"
The admission of Bernard Clarke was corroborated by Mr. Ken Jones in 'The Wrexham Leader', October 17, 1986. Mr. Jones was then a private with the Fifth Royal Horse Artillery stationed at Heid in Schleswig-Holstein. "They brought him to us when he refused to cooperate over questioning about his activites during the war. He came in the winter of 1945/6 and was put in a small jail cell in the barracks," recalls Mr. Jones. Two other soldiers were detailed with Mr. Jones to join Hoess in his cell to help break him down for interrogation." "We sat in the cell with him, night and day, armed with axe handles. Our job was to prod him every time he fell asleep to help break down his resistance," said Mr. Jones. When Hoess was taken out for exercise, he was made to wear only jeans and a thin cotton shirt in the bitter cold. After three days and nights without sleep, Hoess finally broke down and made a full confession to the authorities. Hoess was tortured by his British captors, but he wrote his diaries and admitted his crimes in a Polish prison, he wrote abouthis torture in his diaries, the same diaries in which he writes about the holocaust. Those few examples still dont explain all confessions, even during the war ( like Goebbels diaries, Possen speeches ) and in all trials, some were video taped by hidden cameras, and it still does not explain Nazis who testified as witneses and were not indicted, and it does not explain why did those Nazis stick to their stories until they died recently. Please tell us what the 'Nazis' that you referred to actually confessed? Names & specifics please. Please tell us what your alleged 'Nazi witnesses' actually said. What did they say that you feel is important and did not retract? We deal with specifics here. LazaB wrote: I have a few questions. Hannover gave you some evidence on some of those who "confessed". But it isn't actually an argument in all the cases. It's not even an argument in all the cases. Court room tactics is another. " 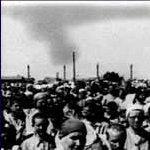 Why did the Nazis who testified as witnesses and were not accused of crimes lie ?" Rephrase the question a bit:"Why were't those that testified in line with the accusation, accused of any crimes?" How do you know that "not a single Nazi" did talk about this torture or retracted what they said? You really need to be more specific. "The use of torture by the British is always concealed behind denials and obfuscation and lies. It was in the 1940s, and it is today." Please actually read what I post.The Hoess "diaries" are covered. Again, what "confessions" are you talking about? Give us the actual text of what was supposedly said. The Posen speech is covered here, repeatedly. Do some investigating and learn. What Nazis stuck to their stories and what was their story? Do not ignore my challenges. That is the beauty of this forum; people can't just say things without backing them up. Reading the guidelines is recommended. Specifics, no dodging challenges at this forum. Another topic to be sure, but not a single alleged enormous mass grave has been excavated, verified, and alleged massive human remains shown. Search for existing threads on that topic and post to them, or start a new one on the magically missing human remains. ** Are you referring to these? How did you cover Hoess diaries ? Franz Suchomel was videotaped with hidden cameras. I am not ignoring any challenges, i never said that there was no torture, i just want evidence of torture for all those who confessed, in all trials decades apart, even in German courts. You ask me What Nazis stuck to their story , well out of all those who confessed, how many retracted their confessions, even years later ? LazaB obviously doesn't know the content of most "confessions" and " testimony" neither. Otherwise he'd know that people clearly were talking about rumors. He just needs to go through the transcripts. But for that one has obviously to be able to read German, Polish, Russian, etc. And what does he make of all testimony that insists that they never heard or noticed anything about homicidal gassings in Auschwitz? They say this, while they were deployed in Auschwitz for several years. No, they didn't. They didn't study the structures at all and used a flawed method to get results satisfactory to them. we covered this on the forum several time as well, please do a search and discuss the matter there. I guess their "report" are on the net as well. Last edited by Hektor on Wed Feb 25, 2015 9:29 am, edited 2 times in total. LazaB wrote: Hoess was tortured by his British captors, but he wrote his diaries and admitted his crimes in a Polish prison, he wrote abouthis torture in his diaries, the same diaries in which he writes about the holocaust. Hoess' 'memoirs' were published for the first time by Communist Poland something like 11 years after Hoess' death. Do you trust Communist propagandists that much? In his 'memoirs', Hoess indeed reported that he had been tortured by British interrogators, but not by Polish or Soviet interrogators (as far as I know), something totally expectable and understandable in a document published by a Communist country during the Cold War. There is a debate among revisionists on the Posen speeches. Some of them see nothing incriminating in the Posen speeches, while others, including myself, regard the incriminating parts of the Posen speeches as forgeries because of some oddities in the recordings and the linked documents. There is a controversy about some of Churchill's wartime speeches. Some people say that some of Churchill's speeches were recorded by a voice impersonator named Norman Shelley. If there exists such a possibility with Churchill's speeches, it would have been equally possible to do it with some parts of Himmler's wartime speeches. And forging a few documents supporting the incriminating parts of Himmler's Posen speeches would have been a breeze for talented counterfeiters. Most of the 'confessions' in the post-war trials of Nazi "war criminals" were not real confessions, as they were in fact statements incriminating others, not the confessors themselves. And the post-war "Holocaust" trials have been critized a lot because of their too soft penalties, exactly what one would expect if there had been a deal between the prosecutors and the defendants. Such deals would of course imply the confessors' silence after the end of their prison terms, under threats of a return to prison for the 'confessors' not keeping their promise. After WW2, the existence of gas chambers was an 'undeniable fact' in most countries, including Germany. One doesn't save his neck by denying an 'undeniable fact'. In such 'trials', one saves his neck by saying "Yes, there were gas chambers there, but I was not involved in homicidal gassings, or if I was, I did it only because I had no other choice." In 'trials' of past centuries, no 'witch' saved her neck by saying "There exists no such thing as a devil. Are you stupid or something?" (the existence of the devil was an 'undeniable fact' at that time), but some did by saying they had no pact with the devil as alleged. Last edited by hermod on Wed Feb 25, 2015 9:41 am, edited 5 times in total. LazaB wrote: How did you cover Hoess diaries ? Once again you are avoiding what's been posted and specific questions directed to you. Please review your OP and the responses. Once again, Hoess memoirs debunked here, but you need to actually read it, I can't read it for you. Post to those threads if you have questions, or start a new thread on each. It's not good form to discuss so many topics in one thread, see the guidelines which you agreed to upon registration. Again, what Nazis are you referring to when YOU made allegations of confessions and no retractions. The onus is upon the accuser. Of course reading the O'Neill threads I cited would be helpful.Hint, hint. But why did the Nazis who admitted of knowing about the chambers and even going along with the whole process still got executed, what kind of a deal is that ? There is no evidence about any such deals, or is there ? Why are you still giving me links about the British torturers of Hoess, he didnt give his confession then, there is no evidence that he was tortured in Poland while he gave his confession and wrote his memoirs ? Lets take Fritz Klein's confession for example, he admitted that he knew and witnessed the gassings, that is one example. I will read the topics about Suchomel. Because you asked about them, that's why. Tell us what Hoess supposedly said that you find convincing. And then show us the excavations of human remains from the alleged enormous mass graves whose locations are allegedly known. What did Fritz Klein supposedly say exactly? .... verbatim text from court transcripts. LazaB wrote: But why did the Nazis who admitted of knowing about the chambers and even going along with the whole process still got executed, what kind of a deal is that ? Because they wanted to save their family from deportation to Soviet Siberia and/or stop the unbearable tortures to which they were subjected. There exist certain ways to make people say what you want them to say. Torture is not even always necessary. Threats, pressure and deals are some of those ways. False confessions are in fact quite frequent, if not commonplace. Evidence about any such deals? All the farcically soft sentences, many of which were not even fully implemented, at those post-war 'trials'. Sentences like 8 years of imprisonment, with regular releases after only 3 years or so, for having allegedly be part of hundreds of thousands murders were complete jokes. Theater plays for morons. LazaB wrote: Why are you still giving me links about the British torturers of Hoess, he didnt give his confession then, there is no evidence that he was tortured in Poland while he gave his confession and wrote his memoirs ? And what about the numerous Nazis who flatly denied the "Holocaust" or any knowledge of it before the end of WW2 (quora.com / Tim O'Neill: Nazis never denied 'holocaust')? You just put their words aside and have a nice sleep? Last edited by hermod on Wed Feb 25, 2015 10:21 am, edited 1 time in total.